Hometown Propane Partners, L. L. C.
1-866-427-1075 Toll Free "We Always Deliver"
Need Home Heating Oil? Please click on the Home Heating Oil link on the menu to find out more! Hometown Propane Customers get the discount oil rate automatically when you switch from your present oil dealer to Blackwell Energy. We accept will call customers as well as automatic delivery customers.
" We Always Deliver! " Welcome to our Web site. This site offers you the opportunity to learn more about Hometown Propane Partners, LLC, founded in 2001. 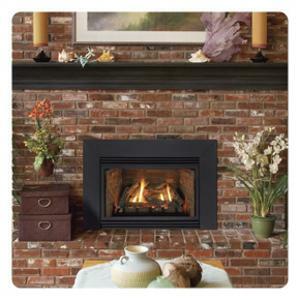 In 2004 Massachusetts approved 99.9% Efficient Vent Free Propane Gas Logs, stoves, and Fireplaces. Hometown Propane has Vent Free Stoves and Logs and Fireplaces for immediate installation. Now you have one stop shopping for your new Vent Free unit. We now accept most major credit cards. All you have to do is call or email us and we will respond personally, provide you with professional advice and a written quote will be in the mail the next day. Vail 32 and 36 Vent Free Propane Fireplace Prices start at $1352 for the 32" model with blower and remote. Mantel sold seperately. We will provide free installation quote upon request. Innsbrook Frplace Insert features both Vent Free and Direct Vent units. The Vent Free Innsbrook provides 99.9% efficency! The Direct Vent efficency is rated at 77%. We offer both for you. Both inserts come with optional surounds which are attractive and functional. In Massachusetts a VF Stove can not be the main source of heat for the room that it is installed. Installation is extra. Come visit our showroom or Call us today for a quote on the Innsbrook and on the installation. We have you covered 24 hours a day 7 days a week. Did we mention that these log-sets are 99.9% efficient? E-mail our sales department now! 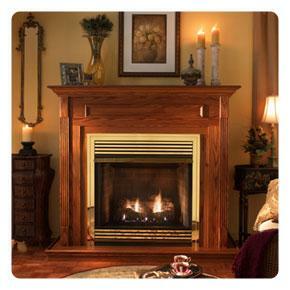 Empire Gas Logs & Fireplace Inserts add warmth to your home. Call or email us to provide you with a free quotation.